LutheranPundit reported on this situation a while back, but a whole new development has come to light with the listing of a property that the wife of Concordia President Tom Ries purchased from Concordia St. Paul for $330,000. Two years later the property is now for sale by Ries for $1,200,000. The secular press is starting to report on this. This does not speak well for Pres. Ries or reflect well on Concordia, St. Paul, or the LCMS either. Perhaps It’s Time to start reviewing just how much business our leaders are doing while also making the salaries they are making (adding the word “President” to a title in the LCMS seems to add a large amount of money to the annual salary). It makes the Lutheran Church look bad for the wrong reasons. To put the best construction on this, the news story does say it went out for bid in 2016, so perhaps others could have done this too. It is his wife’s business, so perhaps he works very hard as President. And he stated they spent $650,000 (wow!) on renovations on a 100 year home which would then put their cost at 980,000. So perhaps they sell it for 1,100,000 and make profit after all fees of $90,000 for taking a risk and spending 2 years flipping a home. So perhaps we should be very happy for them and praise God for it, rather than speculate something is dirty? So Concordia Presidents should be able to profit off of these situations? You don’t see any ethical issues involved that hurt the Church’s reputation? If that’s the best construction, it’s still highly unethical by any standard. Reducing the profit from $850K to $90K and noting the risk of flipping properties doesn’t change the inherent conflict of interest. Well sir, we are only given a portion of the story here. How much was the property really worth when they bought it? Even the article from the secular news source reports that they had to rehab the building. You have no information on what was spent. For goodness sake, this smacks of jealousy unless you have some proof of malfeasance. I understand caring about our institutions and fiscal responsibility. But you can’t fault people for making a profit if it was achieved fairly. Well, one of the articles you linked to said the property was “put out to bid,” so I assume there were no dark machinations that led to the Ries family buying the property. The article also said they spent over $650,000 renovating the building, which they bought for $330,000. So an asking price of $1.2 million (and I know nothing about the market in that area) doesn’t seem an outrageous profit, since they have sunk nearly $1 million into it already before making anything. I also know that asking price isn’t always selling price, and that real-estate is not a sure-fire investment. What exactly is being done here that is immoral or illegal? Maybe “conflict of interest” should be something worth attending to, but not in disregard of scripture. Another thought is: we know nothing of how successful a businesswoman Mrs. Ries is. Maybe she is, frankly, wealthy in her own right. Having or borrowing nearly $1 million dollars is no mean feat. Maybe President Ries recused himself from the decision to sell the property originally. Maybe he opposed it. We don’t know. I also think that, if someone is really concerned about this, they should write or call or visit President Ries and speak to him personally before implying anything negative about the man. Pastor Scheer above (comment #2) expressed concern about “the Church’s reputation.” Maybe the Church would have a better reputation if we treated our own brothers and sisters more lovingly and stopped making them the talk of the town based on AN interpretation of news articles without speaking to them first. Is a person “guilty” until “proven innocent”? Or is a person “innocent” until “proven guilty?” Much to think about! If the president “recused himself from the transaction and if others were given the opportunity to participate in “open public bidding”, as it appears that they were, we must not err by rushing to judgment! Should the head of a University personally benefit from the sale of the property of that University? How does that pass anyone’s “smell test”? They are already the talk of the town. See the linked papers of the town. I don’t recall either newspaper article saying there was anything questionable about the transaction. Have you contacted the Rieses? Was the property put out for sale to the highest bidder? Did the Rieses make the highest bid? If the answer is yes to both questions, what’s the problem? Unless you have evidence President Riese influenced the decision of the college to sell the property with this whole scheme in mind. The “smell test” is just another term for “worst construction,” isn’t it? So, we have the President of a Lutheran institution engaged in the purchase of a building owned by the Lutheran institution that the President oversees, while the company brokering the deal has a relative that sits on the Lutheran institution’s Board of Regents, yet somehow there is nothing disconcerting with such a scenario (at least to some). Please consider the words of our Lord recorded in Matthew 24:34 (…for out of the abundance of the heart the mouth speaks…) and Luke 6:45 (…for out of the abundance of the heart his mouth speaks…). Even the secular world acknowledges this truth, as demonstrated by John le Carré’s novel “Russia House”, towhit: We reveal the contents of our minds by the questions that we ask. Your article and your comments have called into question the ethics (“ethical issues”) and motives (“profit”, “personally benefit”) of Rev. Dr. Thomas K. Ries and his wife. You reinforced those characterizations 1) by what you reported, and 2) by what you failed to report. Others have tried with respect and charity to pull you back from your folly. This was attempted by referring you to the Lutheran catechism (see comment #1 above concerning the eighth commandment) and sacred scripture (see comment #7 above). Apparently to no avail. Please ask yourself whether your article and comments pass the “smell test” (your words, not mine). I for one will now step back, and wait and see whether anyone (e.g. your elders, your confessor, your circuit visitor, your district president, your synod president, your publisher, your fellow BJS contributors) have the moral, ethical, or spiritual authority to give you appropriate counsel in this matter. I now have but one question for you: “Do you plan to grant yourself absolution this coming Sunday?”. I don’t care for the 8th Commandment and Matthew 18 to be thrown around to avoid open and frank discussions in the light about activities that do appear unseemly. Or have we forgotten about operating in the light, and “avoiding the APPEARANCE of evil”? On a related note, I also don’t care for adiaphora to be thrown around as cover to have license to get away with about anything imaginable. I recall pastors being “above reproach, well thought of in the community”. Or “profiting in the world yet losing your soul”. Far too many, some in parishes and who knows how many in the bureaucracy, are so echo-chamber blind they cannot possibly understand why the general laity has unfortunately lost respect for what should be the esteemed Office of Holy Ministry. Satan is sure loving this. Apparently Pres. Ries was using his Concordia email address for conducting business as the Treasurer for his wife’s company. It also mentions an investigation by the city about possible violations of city ordinances in regards to the use of the property for AirBnb. It is a violation of the 2nd Commandment to so misuse the 8th Commandment and Matthew 18. As Pastor Scheer’s circuit visitor, I applaud his commitment to the scriptural and confessional witness. An overseer must be above reproach. If questions are now being asked about the process – once it became known, and long after it was concluded – then there was likely not an attempt to be open in the avoidance of conflict of interest. Meanwhile, we look unethical to the world – even the secular press thinks this is not a good situation. If this was an open process, why has the University not made that clear already? They could, for example, invite the press to review all documents and records related to the sale, to show that there was nothing untoward about this. As things stand, it appears that her works are not praising her at the gates. It is one thing to say “This is a matter that should be brought privately” when it is a private matter. But the amount of coverage in the world means this is no longer a private matter. It is public. My brotherly advise to anyone would be to review what the Large Catechism says about things that are public and known by all. A while back when I was once on district board of directors, a person had to be let, because of some financial dealings. While I personally did think he was trying to do anything bad, he did not explain himself well, many were upset with him (maybe in an inappropriate way). I had a critical role to play, and what I could not defend and remained silent (did not defend him) was he had not been annually disclosing a conflict of interest about the financial dealings. So he basically got fired. Currently on my PTA board, our president last fall got elected to the school board. I think there are too many shenanigans going on that board and they don’t like out president. Again issues are arising form conflict of interest, and unfortunately is it causing a severe lack of trust in our PTA leadership. Not to mention she cannot act on our behalf sometimes, or alone. Many times when she deals with the school, another PTA officer has to go with, to witness no undue influence. Many times situations like this will blow up in peoples faces. Part of my not caring is that “he who has ears let him hear”. If our leaders wish to participate in these grey to dark areas, I will not feel sorry for them when the get taken down. Back in college we had a saying about parties, especially keggers: “don’t be stupid.” It is when you are stupid to attract attention. And if there is illegal activities, guaranteed you will get caught and pay a price. In comment #8 you wrote: “… we know nothing of how successful a businesswoman Mrs. Ries is …”. Let me invite you and all interested parties to check her out as follows. Step#1. Read the articles. Apparently she was high bidder on one of two properties whose sale was managed by a third party. Step#3. View her videos on YouTube. Her YouTube channel name is “Susie Ries”. Rule#1. If she is not legitimate in her own right, that would be evidence of unethical behavior on the part of her husband. Rule#2. If she is legitimate in her own right, then as a public figure she is fair game. Rule#3. The dictum “AVOID THE APPEARANCE OF EVIL” does apply to Dr. and Mrs. Ries. Rule#4. The dictum “AVOID THE APPEARANCE OF EVIL” does not apply to the author of this article. Rule#5. Luther’s Small Catechism is deficient in its explanation of the eighth commandment, we must consult Luther’s Large Catechism. Rule#6. Proverbs 31, Matthew 24:34, and Luke 6:45 are immaterial as it concerns this matter. My wife gives me her permission to state that she is not impressed with the critics if Mrs. Ries. Lincoln Winter and Joshua Scheer are pastors in the same circuit? Wow. The Eighth Commandment NEVER applies to ANYTHING on BJS. Whatever they discuss has been reported by someone, somewhere on the Internet; ipso facto, it is “public and known by all,” so it is fair game. Another BJS rule: anyone who works at the Synodical level is guilty until proven innocent. It seems to me that these were equitable, arms-length transactions by Susie Ries Interiors for which Mrs Ries received a modest profit (not $870k as ridiculously implied). If BJS had a concern, why didn’t they contact Dr Ries to get the other side of the story? This posting seems grotesquely unfair. It’s funny you had to bring your wife into this. You may want to check your “rules” against your own application of the commandments and Scriptures on this site. In general when someone says “NEVER” they are likely lying. You are not living up to your own rules in your conduct with this site. Did you contact me privately before posting? You aren’t living by the rules you have for this site. One thing is common among these three commenters. They all have applied rules to this site and this post and to me that they do not even attempt to live by in their own posting. We thank you for your contribution to this discussion. We see from the locator tool at LCMS.org that you, like Pastor Scheer, occupy the Office of Holy Ministry, and that this qualifies you to teach Sacred Scripture and Luther’s Catechisms, both Small and Large, to lay people such as us. The issue at hand has an additional component for people such us. Please let us explain. 1. We are long term residents of the Twin Cities, Minnesota. 2. Our current residence in Bloomington Minnesota was built in 1958, and we have owned it for the past 30 years. 3. We have raised three children and are now empty nesters. 4. In order to bear the expense of raising our family, including putting all three through college (a total of 14 school years), we deferred a lot of maintenance on our home. 5. We are both retired and living on a fixed income. 6. We have undertaken the lengthy and expensive process of 1) catching up on deferred maintenance, and 2) remodeling our home as our retirement cottage. 7. We see from media reports provided by Pastor Scheer, that the person in question has a business address in a community adjacent to our own. 8. We see by that business’s web site that the business might offer beneficial service to people such as us. Should we consider doing business with the person in question? That’s rich, coming from you. “Whataboutism” is a pretty lame response, even if true. Two wrongs don’t make a right. Plus, even if I am in the wrong, that’s not a defense for what you stir up. I am also thinking of all the times people attacked me rudely on this website, and no attempt was made by you or any of the other so-called Christian “brothers” to urge fair treatment. Vitriol is you people’s stock in trade. You do realize that coming to this site is voluntary, right? Do you realize that “taking the low road” in debate is voluntary, also? Btw, where did I lie, big shot? Give me an example of an article taken down or not posted on BJS because of 8th Commandment issues. (No names necessary, obviously, or that would defeat the purpose.) About the only time I see the 8th Commandment mentioned in BJS articles is to dismiss it because of what Luther said about public rebuke. Re: what John Rixe said–you people are the ones publicly attacking a Concordia college president and his wife. You started this. People are punching back. It’s a little late to be complaining about consistency. Bullies don’t deserve it! Aren’t the matters being discussed here public matters on the public record? Real estate transactions, contracts etc are matters that are by nature public. Christian virtue does not require us to bury our heads in the sand when public matters are being discussed – in public. 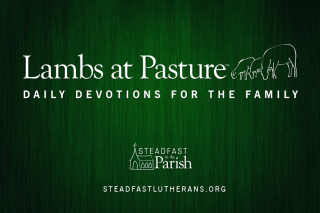 Sheep should judge their shepherds, and it is also the case that members of the Synod should be able to ask clear questions, in public, of those who have been given responsiblity over much or little and expect answers clear to be given. The public matter does make the church look bad, that can’t be denied. You must live a blessed life if you think posting links to newspaper articles with a question or two and concern for the church is “the low road”. Over the years several articles have been taken down here. I won’t bring them up again (as you say it defeats the point of taking them down). Besides this, of course, you have no idea the number of articles that were written and never got published or the information that comes our way that never gets put out anywhere. It is interesting however to see how many think that such statements about BJS are totally justified (ever ponder how your lying words reflect upon this site’s reputation?). In regard to the 8th Commandment requirement to publicly rebuke public matters – It’s not just “because of what Luther said about public rebuke” – that’s the Large Catechism – the very thing in the Book of Concord that every Lutheran pastor swears fidelity to. If it was just Luther we could disregard it, but since it is in the Confessions and in line with Scripture, we are bound to uphold it in what we say and do. With regard to your comments with Rixe – “publicly attacking”? You again must lead a very blessed life if this is considered an attack. I am ok with people punching back – it’s the hypocrisy involved that I pointed out. If you have a standard you want to enforce upon me or this blog, you should at least live by it too. Apparently, you have an interesting set of rules that don’t apply when you determine for yourself that someone is a bully. You may want to go back and actually read what has been written in the original posting. The overreaction to this post is interesting given the propensity of some folks to want to just shout down any critics of their beloved institutions. I think this post and the comments have shown that it is time to start covering these issues with greater frequency and intensity since so many people are getting so misguided as to think that the kind of writing in this post is considered bullying. OK, you win. I’m wrong, you’re right. Sorry I ever said anything. This whole thing is making me tired and unhappy, so I am bowing out. Good luck to you and yours. Pastor Scheer, I want to apologize to you and BJS for my harsh words to you. Those things were said in anger, and I shouldn’t have said them. Please forgive me for what I said and how I said it. James. You stand forgiven because of what Christ Jesus has done for you. Go in peace brother. Do you not see the irony of this situation, towhit: Lay people using scripture and the catechism in a failed attempt to restrain merciless attacks by clergy against a fellow clergy and his wife? You defend these attacks with the words “Sheep should judge their shepherds”. I, for one, am willing to admit that I have not always used the best wisdom in my speech, writing, and actions. I assume that Judge Kavanaugh might admit as much. What about you? Is there anything in your life and/or that of your wife, perhaps even in the last few years, about which you might also admit as much? If there were, and it had been made public, perhaps even by your own actions, how then would you feel? 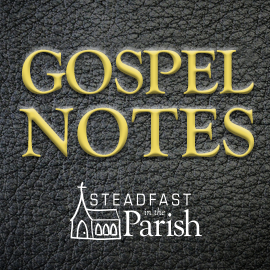 Hear now the words of David recorded in Psalm 46:4-7 (ESV). Hear now the words of our Lord recorded in Matthew 7:2-3 and Matthew 7:7 (ESV). “For with the judgment you pronounce you will be judged, and with the measure you use it will be measured to you. Why do you see the speck that is in your brother’s eye, but do not notice the log that is in your own eye? Hear now the words of Martin Luther recorded in his Small Catechism. Hear now the words of Shakespeare recorded in Othello Act 3, scene 3. Is there truly no one whose counsel you are willing to accept? I am gonna put you on moderated status now (your comments will require a moderator’s approval to post). The reasons for this are that you have just trolled Rev. Ball, whose comment did not take a side in this issue. You have exhibited poor behavior throughout the thread, accusing all sorts of people of all sorts of things. And finally, because you think that a blog post which cites four different secular articles and gives a paragraph of commentary is a “merciless attack”. Your comments have been more inflammatory than anything else in the post. You have let your position be known, I would suggest taking a break before you decide to comment again. In response to the original post, regarding the transactions between Concordia and the Susie Ries, a couple things have been left out. I’ve known Tom Ries for the better part of 40+ years, and the one thing I would say about him is that he is one of the strongest and most ethical people I know. He is also someone who has little patience for the BS that so often comes from people who sit, at a distance, and make judgments about him – without exhibiting the evangelical courage to approach him first. I hope, Pastor Scheer, that in addition to critiquing Tom (and Susie) on their business venturing – that you would also be kind enough to send them a little note mentioning that you are praying for them – and thanking them for the blessing they both been to Concordia, St. Paul and to God’s Kingdom at-large. In the meantime, you are on my prayer list, as well. Some things I would like to know: How did Concordia St. Paul notify the public that bids were being accepted on the property? How many bids were received and for what amounts? What has been the sale price of comparable properties in the area? While a private university is not legally required to disclose this information, it would go far to demonstrate that the Ries family was not self-dealing at the expense of the synod. That’s not an accusation, that’s a request for more information. Concordia International School of Xiamen started to recruit students in Xiamen in April 2018, as part of contributing with the development of Xiamen’s international education. Because of very poor reputation of his schools Pastor Yung needs an endorsement from three LC-MS pastors and one LC-MS educator. Visionarily maximize social media integrated best practices.